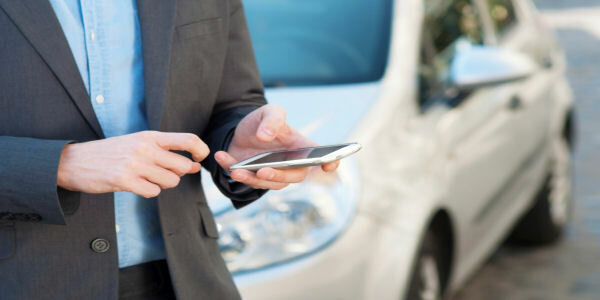 CLARIFYING CAR EXPENSE CLAIMS If you are claiming a deduction for using your own car (including a car you lease or hire), it is treated as a car expense. If you use someone else’s car for work purposes, you may be able to claim the direct costs (such as fuel) as a travel expense. If the travel was partly private, you can claim only the work-related part. When you CAN claim for car expenses: You can claim a deduction for work-related car expenses if you use your own car in the course of performing your job as an employee, for example, to: – carry bulky tools or equipment – attend conferences or meetings – deliver items or collect supplies – travel between two separate places of employment (for example, when you have a second job) – travel from your normal workplace to an alternative workplace and back to your normal workplace or directly home – travel from your home to an alternative workplace and then to your normal workplace or directly home (for example, if you travel to a client’s premises) – perform itinerant work. If you receive an allowance from your employer for car expenses, it is assessable income and the allowance must be included on your tax return. Most people CAN’T claim the cost of travel between home and work because this travel is private. Call the Eclipse team on 9531 0922 to find out how this applies to you. You’ve carefully filed all your important documents – but how can you protect them from being destroyed if the worst happens to your home or business? Consider placing originals of important documents and critical records in a fire resistant, waterproof safe or in a safe deposit box with your bank, lawyer or deposit box service. You can also back it up in the cloud or keep an electronic copy off site. 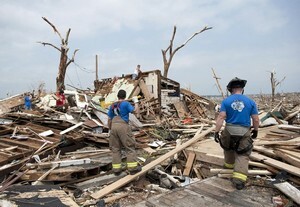 That way, if your home or business is damaged by fire or flood, you’ll be protected. Contact the Eclipse team today on 9531 0922 for more information. 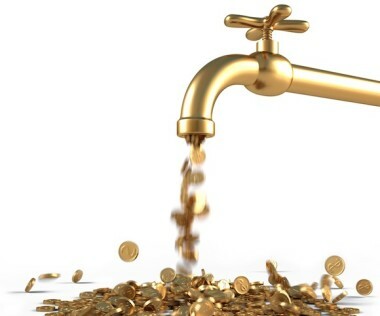 5 ways to get cashflow – FAST! Sometimes you need to get some cash in the door quickly, and to do that you have to make sales happen fast. Here are some proven ways you can get the ball rolling quickly and crank up your sales. 1. Make an enticing offer to your existing clients or customers, with the aim of getting repeat business and add on sales. If you own a dry cleaning business for example, you could offer customers a special deal on their next dry clean. It could be something like two shirts for the price of one. The result will be repeat business because you have provided something to entice that customer to come back to you (and you could promote this special to customers who normally don’t bring shirts in too). If you are a plumber you can offer say a special deal on replacing all their tap washers whenever you’re doing a job for a customer (you can promote this special offer to prospective customers as well). 2. Make an offer to somebody else’s clients. Look at your business and ask what other businesses would have clients or customers like yours. For example, a young woman who buys a phone today could well be looking for a pair of jeans tomorrow. If you sell jeans, go to the phone store and give them $20 vouchers redeemable in your store to give away to customers who buy a phone. Explain to the other retailer that this enhances the deal they’re doing with their customer but it will also encourage that customer to go into your store. If they then give you vouchers for your customers to spend in their store you’ll then be able to send all of your customers their way. This is called cross promotion and it works gangbusters. Of course there’s an extra powerful motivator that makes this work so well. And that’s simply… the credibility of word of mouth recommendation. Your customers or clients know darn well that you wouldn’t recommend some other business unless you were happy with that business. And that’s powerful stuff! 3. Use the power of promotion, promotion, promotion! Promote the pants off your product or service using the power of the personal approach. Be upfront and approach people who are in the area when you are quoting, or are about when you actually are delivering the service or who are walking past your shop. For example, you are quoting for some building renovations at someone’s home. Find out from them the names of the neighbors on both sides and those across the road as well. Go and knock on their doors and tell them what you are doing. Explain, “Because you will be doing a job in the neighbourhood they could get themselves a great deal if they wanted something done at the same time.” This approach consistently averages two extra jobs for every 5 neighbours seen. You must adopt this fun approach because, if you just have some wooden faced person glumly handing out a piece of paper, most people will take it and not read it. If it’s fun and done with a smile with a spoken offer many more people will act on it. If you or your team members don’t have the aplomb, the personality or the courage to do it, hire a casual team member with the right skills to do the job. It will reap huge rewards. Put together an ad that grabs people’s attention. Use a compelling headline that drags people in, even if they weren’t in the market for your product or service. Of course the copy you write that amplifies and explains the headline must be just as compelling. As they read it they should be thinking “Hey, this is about me and the answers to my problems, I’m really interested in this.” To get them to act straightaway have a coupon with an expiry date in your advert that entitles customers to an irresistible special deal. Then do something most people don’t do. Measure the sales you make from the advert and, if it works for you, keep doing it! Many business people make one attempts to get the business and, if the prospect doesn’t buy then, they forget them. That’s downright crazy. You see when we talk with a prospect we know that they are interested in buying but we just don’t know when. Some people are ready to make a decision then and there, some are getting ready to buy next week or next month and some are just gathering information for a purchase sometime in the future. If they don’t buy now despite your best endeavours, it’s important that you find out when they are planning to purchase and then stick with them until they buy or die! Of course this means that you’ll need to have their contact details so that you can stick with them but naturally you’re getting those from every prospect you meet, aren’t you? And that raises a final thought. Why don’t you go back to prospects you saw recently who didn’t buy then and see if they are ready to buy now? You’ll be amazed just how much business this will generate for you. These techniques are simple, effective and will get results! 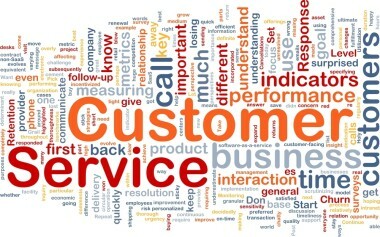 Have you noticed that customer service is losing its way in business these days? 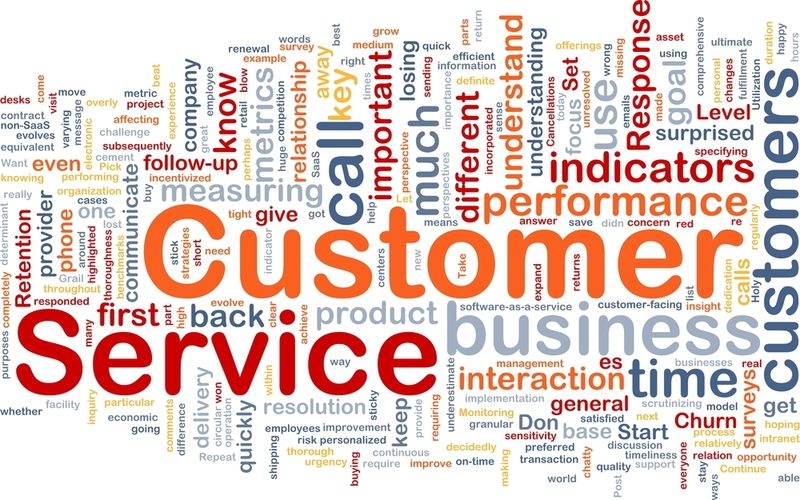 Customer service should be at the top of the list of priorities for every business. Unfortunately, it is often neglected. Once you realise how customer satisfaction affects your business, you will want to adopt some of the methods below to help keep your customers coming back. Some businesses just don’t seem to care about keeping their customers happy. If only they knew how damaging this is to their business! This is the simplest possible way to keep your customers happy, but it is all too often overlooked. A customer who feels appreciated is much more likely to bring you repeat business and/or refer you to a friend. Your clients are the reason for your business’ continued existence, so they should be appreciated. Saying thank you is often enough, but imagine how much more valued a customer would feel if something more personalised was done to thank them, such as a thank you card, or a simple coupon sent in gratitude for their business. People simply don’t like to wait. Today’s world of high speed Internet, microwaves and mobile phones is evidence of this. If a customer has to wait days to have questions answered by you, they will likely take their business to a company that responds to their enquiries quickly. This situation could be rectified by delegating this task to an employee. Learn to be accountable, not only for your own mistakes, but for those of your employees as well. When you consider that it is estimated that 35% of dissatisfied customers would not go to the competitors if they received apologies, you realise the true value of “I’m sorry”. We all know that there are difficult people who will never be pleased, but the vast majority of your clientele are not these people. Being sincere and genuinely trying to make a disappointed customer happy will undoubtedly help you to retain more clients. Value your customers by giving them a little extra. This is a small step that doesn’t have to cost you a fortune. It can be as simple as a small, unexpected free gift after a purchase, or providing a little extra service above and beyond that for which you were hired. Going the extra mile for your customers will make them feel appreciated and might even generate some referrals. Call your customers by their names and ask them how their day is going. Even if your business is conducted over the Internet, there are ways to personalise emails to let your customers know that you care about them. If a client feels you know them, even a little bit, they are much more likely to show you loyalty and not move on to your competitors. Your customers will be happier if you promise less and deliver more. They’ll also likely tell their friends about the good service if you keep your word. Customers feel great when they save money unexpectedly. From time to time, slip in some unadvertised sales to give your customers a pleasant surprise. Make sure your employees are properly trained in how to handle a customer complaint. Give them guidelines and make sure they know what to say and do to make that customer’s experience a positive, pleasant one. Without your customers, you don’t have a business. Therefore, customer service should be your top priority. Your customers will really appreciate being shown respect and sincere gratitude. In return, you will likely receive their loyalty. When customers walk away from dealing with you with a smile on their face, they’ll be less likely to take their business to an unknown competitor. – Put in place a method of obtaining regular and reliable feedback from your customers. – Actively promote high quality service and ongoing improvement in your business. – Perhaps tailor some of the ideas on these pages to your own business and put them to good use! Contact the Eclipse team today on 9531 0922 for assistance with this action plan! It takes more than just a good idea to start a business. Commitment and dedication are also important because getting your idea off the ground can often involve long hours and many sacrifices – well worth it if you are passionate about your business. You also need to have good business management skills to keep the business running – especially since, according to the Australian Bureau of Statistics, many new enterprises fail within their first five years of operation! Make sure you have a solid concept for the business, not just a vague idea. Think about whether your business will be feasible. Is there a real need for your product or service? Who are your customers? Who are your competitors? Undertaking initial market research to answer these questions will help you work out if your plan will succeed. Ongoing market research will ensure you keep in touch with the latest trends, industry changes and the economic condition – all factors that will impact the success of your business. Take the time to count the cost. Financial planning and budgeting are essential for any business. Budgets are effectively your business plans expressed in financial terms. Remember, in the early months of operation, you will need sufficient cash to carry you through until your business begins to generate a profit. Advice from your accountant, financial planner and solicitor will prove highly valuable at the outset. Although the cost of good advice may be a concern, think of it this way: what would be the cost if your business were to fail because you didn’t seek expert advice early on. Setting up your own business is an exciting prospect and getting it right from the start is vital for success. – Make appointments to get expert advice from your accountant, solicitor and financial planner, and talk to other business owners about their secrets to success! Contact the Eclipse team today on 9531 0922 to discuss your new business plans. 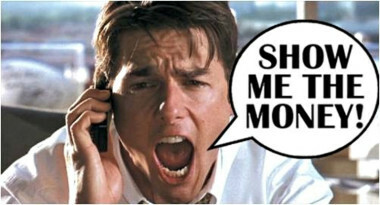 Are you on top of your debtors? 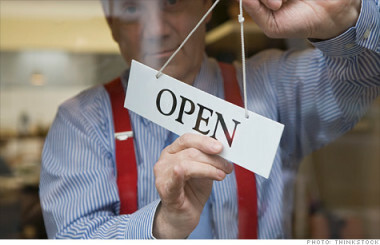 It goes without saying that a business needs cash flow to keep operating. If too many customers forget, delay or refuse to pay, your business could end up in serious trouble! Debt collection is an aspect of cash flow management where a lot of businesses underperform. However, it doesn’t have to be difficult. If you have the right person for the job and develop a workable protocol, the process of debt collection can be made easier and it will have a positive effect on your cash flow. Admittedly, the term ‘debt collector’ has a negative connotation. It conjures up images of harassment and fear! Not only that, many business owners might assume that because collecting money comes under the umbrella of finance or accounts, then their bookkeeper should be an expert and enjoy chasing up outstanding bills! That’s not always the case. The responsibility of collecting money (known as ‘accounts receivable’) is likely to be suited to someone who is good with people – friendly and confident. They should be well-organised, have good time management skills and be able to keep handy records of customers’ habits and tendencies when it comes to paying their bills. Generating a report showing outstanding debts broken down into 30, 60 and 90 days columns won’t show the average accounts receivable days, that is, how many days it takes on average for customers to pay their invoices. Businesses operating on payment terms of 30 days may not realise that in reality customers take much longer on average to pay their bills. One of the best ways to keep cash flowing is to manage your accounts receivables with meticulous regularity. Monitoring this indicator from one quarter to the next, or over a 12 month period, will show whether debt collection efforts are improving, remaining the same or ineffective. These results are helpful both to the person responsible for collecting debts and the business owner. – Designate a well-organised and amiable employee to be in charge of debt collecting. Together develop a protocol for collecting debts and use the indicator to measure progress and performance. – Schedule time in your calendar to review outstanding debts regularly! Although the June 2015 quarter superannuation obligations are not legally due until 28 July, if cash flow permits, business owners should look at paying employee super before 30 June (next Tuesday) in order to receive a tax deduction in the 2015 income year. Note that the super payments must be cleared from your bank account. You (or your bookkeeper or internal accountant) should also check your superannuation payable (liability) account in your balance sheet to ensure that all accrued super has been cleared to zero. SuperStream is the new data standard requirement for all Superannuation funds, including SMSFs. It requires employer contributions to be paid electronically to the superfund. It also applies to rollovers between funds (but not rollovers to SMSFs). What is the purpose of SuperStream? The electronic service address is then used to send (data) messages in relation to the employer super contributions that have been made. The above details need to be provided to the employer before 1 July 2015 (see dates below) otherwise the Employer may send the contributions to the Employers standard default fund instead. There are many SuperStream providers in the market place and the most appropriate starting point would be the administration service provider for the fund or in many cases, the software provider of your Accounting (SMSF) software. If the SMSF does not have access to an electronic service address through an existing service provider (software, administrator etc.,), then the fund will need to register with an SMSF messaging provider. A list of SuperStream providers is also available on the ATO’s website. Click here to access. The SMSF messaging provider will give the SMSF an electronic service address, will receive the employer contributions message sent by the employer (or payroll provider) and then send the message to the fund in a readable format. A lot of confusion has (and still) exists around the implementation date for these requirements. “If you have 19 or fewer employees (small employer) SuperStream starts from 1 July 2015. You have until 30 June 2016 to meet the SuperStream requirements when sending superannuation contributions on behalf of your employees. We suggest that you also review the ATO compliance statement regarding SuperStream on the ATO website. The SuperStream measures do not apply to contributions sent to a SMSF from a related-party employer. Existing processes that are used to make contributions to these funds can continue. The Small Business Superannuation Clearing House is a free, optional service for employers with 19 or fewer employees. You can make your super guarantee (SG) contributions as a single electronic payment to the clearing house, which then distributes the payments to employees’ funds. The clearing house is designed to reduce red tape and compliance costs for small business. Your super guarantee contributions are counted as being paid on the date the clearing house accepts them (so long as the fund does not reject the payments). You have 21 days to pass an employee’s choice of fund on to the clearing house. Please contact our office if you have any queries. Superannuation Guarantee charge increases from 9.25% to 9.5%. Changes to the way the Private Health Insurance (PHI) rebate is calculated requires extra information from individuals for their 2013/14 tax returns, which should be included on their PHI annual statement. There will be two different rebate periods – one from 1 July 2013 to 31 March 2014 and the other from 1 April to 30 June 2014. New ATO tax tables The ATO is releasing its new 2014/2015 tax rates, updated to reflect the increase inMedicare levy from 1.5 to 2% and the Temporary Budget Repair Levy for employees earning greater than $3,461 per week (i.e. $180,000 per year). No TFN or ABN. If the employee has not provided a TFN or a supplier business has not provided their ABN, the employer should withhold 49% of any payment made. Increase in the Superannuation Guarantee rate. The SG rate will increase from 9.25% to 9.5% from 1 July 2014. The government has announced that it would slow the previously announced increases to 12%, (leaving the 9.5% SG rate in place until 30 June 2018) however no legislation regarding this has been introduced. SuperStream. Employers can opt-in to use SuperStream from 1 July 2014. Large and medium employers must complete their implementation by no later than 30 June 2015. Smaller employers (19 or fewer employees) are not required to start using SuperStream until 1 July 2015, and must complete their implementation by no later than 30 June 2016. Living away from home allowance (LAFHA) transitional period ended on 30 June 2014. Now, the main condition to be satisfied is that the employee must have a normal place of residence in Australia that is maintained for their “personal use and enjoyment” (i.e. still available to them, not rented out) while they are living and working in another location. In most cases, LAFHAs will also be time limited to 12 months. Employees who qualified for the transitional rules will not be entitled to another 12 month period from 1 July 2014 unless there is a change in the job location. However, if the employee is working on a fly-in- fly-out or drive-in drive-out basis the LAFHA concessions are not subject to the 12 month limit. Paper activity statements. From 1 July, once an activity statement is lodged electronically, the ATO will no longer issue paper activity statements. Company loss carry-back repeal. The government has announced that it intends to repeal the carry back tax offset for the 2013/14 and later tax years. Legislation covering this has been reintroduced, but this is not yet law. Simplified depreciation rules. The government also announced that it would repeal the provision allowing small businesses an accelerated initial deduction for motor vehicles. Legislation covering this has been reintroduced, but this is not yet law. New SMSF trustee penalties. From 1 July 2014 the ATO has greater powers to enforce the superannuation rules by levying financial penalties directly on trustees. Concessional contribution cap changes. From 1 July 2014, the concessional (deductible) contribution cap for taxpayers up to the age of 50 is $30,000. And for those 50 and above, the cap is $35,000. Non-concessional cap changes. The non-concessional contributions cap from 1 July 2014 is $180,000 or $540,000 over 3 years (up from $150,000 per year). Insurance inside an SMSF. From 1 July 2014, new insurance policies within a SMSF must be consistent with the death, terminal illness, and permanent and temporary incapacity conditions of release in the Superannuation Industry (Supervision) Act. Each year, employers must provide Employee Payment Summaries to Employee by 14 July and also send an Annual Payment Summary Annual Report to the ATO. In the past, employers have been able to lodge their annual report using disks or flash drives. The ATO are closing this service and employers will now need to lodge Payment Summary Reports online. Lodging directly from your accounting or payroll software (if it is Standard Business Reporting enabled). MYOB and Xero are both listed on the SBR Product Registrar. The ATO is sending out letters this month to building and construction industry businesses, reminding them that the 2013/2014 Taxable payments annual report is due by 21 July 2014. – In 2012/2013, 50% or more of business income was derived from providing building and construction services. You should contact Eclipse Accounting Group if you would like assistance with this reporting or are unsure whether it applies to your business’s circumstances.